The Spurs swept the Grizzlies with a decisive game 4 victory in Memphis. The Playoffs MVP so far? Okay, hands up who saw THAT coming? Everyone look around….anyone you see with their hand up is a liar. I certainly didn’t. I did think the series would go the full seven games, for starters. And, most importantly, I thought that the younger Memphis side would win. I reckoned without the seemingly injured Tony Parker going for 98 points (41-77 shooting) and 38 assists (versus only 16 turnovers) in the entire series. 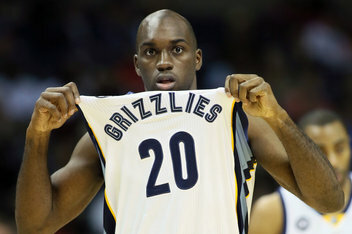 Quincy Pondexter, a guy I watched quite a bit when he was the standout for the University of Washington Huskies (a squad which post-Brandon Roy has produced two decent NBA players in Pondexter and Isaiah Thomas, with dunk king Terrence Ross and Memphis rookie Troy Wroten also plying their trade in the pros), played his guts out but it wasn’t enough for Memphis to overcome a frankly disappointing series from Zach Randolph: 44 points well below his career average and 48 rebounds not quite getting it done for Memphis. Meanwhile in the battle of good vs evil (and you will probably find the internet is 50:50 as to which is which), the Indiana Pacers made sure that the Eastern Conference finals is at least going to six games with a seven point game four win over Miami, a game in which LeBron James, a player who went 17 days without committing a single foul this season, fouling out. For some reason the Heat did not return to their game three strategy of putting LeBron in the post, instead letting him shoot an impressive, but ultimately perhaps counterproductive 4-7 from three. He was 4-11 from the rest of the floor. The other telling stat for the Heat was that no Miami player topped seven rebounds – amazingly Miami was led in this category by Ray Allen; the Heat’s 30 total rebounds was equalled by Indiana’s Roy Hibbert, who added 23 points, David West and Sam Young. The Heat also forced more turnovers, taking 21 points off the 13 turnovers they claimed, compared to Indiana’s 8 points off 6 TO’s, but Miami faded late and a 16-6 run gave Indiana the spoils. Problematic for Miami has been the form of Dwyane Wade. When Wade plays well, as he did in games two and three, Miami tends to win. He was alright in game four, but no better than that. The Heat are guaranteed excellence from LeBron most nights, but perhaps second guessed themselves by playing him in a more perimeter-oriented role for this game. Each time the Heat has lost this post-season they have roared back and I expect them to do the same in game five on their home floor. I’m still picking them in six, but everyone knows that a well rested Spurs team will pose an incredible challenge for whoever comes out of the East. The NBA before the All-Star Game: what do we know?